The case again raises questions about Amazon's bathroom policies, and describes “unyielding” scheduling rules. An employee in an Amazon call center in Kentucky asked managers for flexibility in the company’s break schedule to accommodate bathroom needs stemming from his Crohn’s disease — a painful, chronic and unpredictable inflammatory bowel condition. But instead, a supervisor accused him of stealing time and he was fired, he alleges in a lawsuit against the company charging discrimination under the Americans with Disabilities Act (ADA) and Kentucky law. The case again raises questions about Amazon’s bathroom policies, which were highlighted in a book by a British author last year that described warehouse workers taking extreme measures to relieve themselves so as not to let their productivity slip — measures disputed by the company. “We do not monitor toilet breaks,” the Seattle commerce and technology giant said as part of a lengthy statement in response last April. 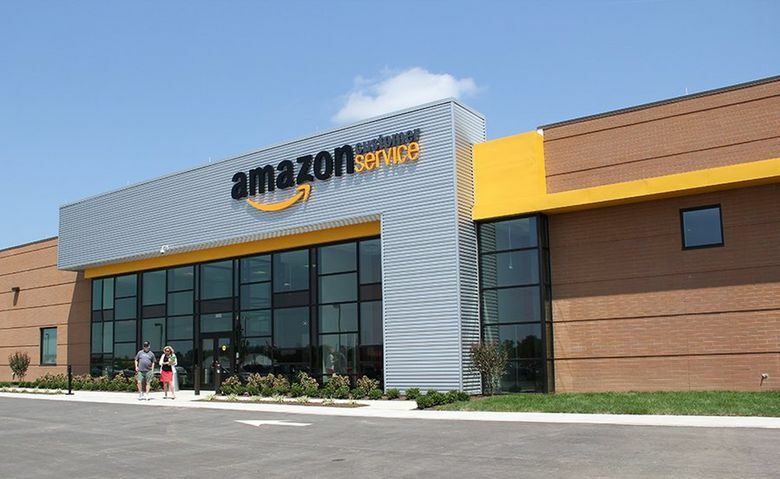 The ADA complaint, filed last week in U.S. District Court in Lexington, Kentucky, spells out a strict and limited break schedule at an Amazon customer service center in the suburb of Winchester that employs some 900 people. Employee Nicholas Stover needed to use the bathroom more frequently than the schedule allowed as a result of his disease. He asked for a flexible schedule or to be moved closer to the bathroom, but he was denied those accommodations, he alleges in the lawsuit. Amazon declined to comment on the pending litigation and had yet to file a response with the court as of Thursday. Bart Greenwald, an attorney representing Stover with the law firm Duncan Galloway Egan Greenwald, declined to expand on the issue beyond the facts alleged in the complaint. Disability-law experts who reviewed the complaint saw Stover’s accommodation requests as reasonable and unlikely to cause an undue burden on the company — the standards spelled out in the ADA, which was amended in 2008 to include symptoms of diseases such as Crohn’s when they substantially limit a major life activity. They said that without hearing more details, however, it isn’t possible to know if the policies that impacted Stover were widespread — as alleged in the complaint — or imposed at the discretion of an individual manager, or if there’s more to the story that isn’t included in the complaint. Stover disclosed his disease to Amazon when he applied for a job and during training at the company’s customer service call center in Winchester. He began working for Amazon in November 2016. “Episodes of symptoms of Crohn’s disease can occur without warning and can require urgent response, including the immediate need for bathroom facilities,” according to Stover’s complaint. But Stover was not informed of the company’s break and schedule policies — which his attorneys describe in the complaint as “draconian,” “unyielding” and “inhuman” — before being hired. The typical call center employee worked a nine-hour shift — Stover was on from 2 p.m. to 11 p.m. — taking calls from customers and resolving typical e-commerce issues such as providing product information, handling returns and refunds, and tracking down packages. The standard shift included three breaks: an hour for meals and two 15-minute breaks, scheduled by Amazon and unalterable by employees, according to the complaint. In addition, employees were granted unscheduled personal time of up to 10 minutes per shift and no more than 20 minutes a week. Time taken beyond the scheduled breaks and 20-minute weekly allotment “will subject the employee to reprimand and other disciplinary possibilities,” according to the complaint. Because of his disease, Stover needed to use the bathroom more frequently than the company’s policies allowed, and he was continually reprimanded, according to the complaint. But he was also given a raise and promoted to a team called search and rescue that handles difficult customer service problems. Amazon did not offer to move his work station closer to the bathroom, a one- to two-minute walk away; nor did it offer options for unscheduled or emergency bathroom breaks or any other changes in work structure to accommodate his disability, according to the complaint. A human resources officer told Stover that if the company accommodated his bathroom needs, it would have to do it for everyone, the complaint alleges. “That is not the case with an ADA accommodation,” said Eve Hill, a disability-rights attorney with Brown, Goldstein & Levy, who was previously deputy assistant attorney general in the U.S. Department of Justice Civil Rights Division. An accommodation granted to one employee does not create a precedent for any other person with another or even the same disability, let alone the employee population as a whole, she said. Matthew Dietz, litigation director of the Disability Independence Group, a Miami nonprofit representing people with disabilities, said some entities do provide accommodations to a broader population — a practice known as universal design — because it’s often easier to have a single set of rules for everyone. Hill said that most ADA accommodations are not about reducing the amount of work an individual performs, but allowing them to perform that work in a different way that still meets productivity standards. “They’re not about how much you get done, they’re about how you get it done,” she said. Hill noted that lawsuits about bathroom access have become less common as the economy has moved away from manufacturing. “This was more common in the days of the assembly line where you were doing a certain thing to a widget that kept coming past you at a certain pace all day long,” she said. A frequent absence could disrupt the line. Stover alleges in the complaint that an Amazon supervisor accused him in writing of taking “too much personal time” and told him his bathroom use amounted to “time theft.” An involuntary termination letter delivered in December 2017 gave no reason for his dismissal, but in the complaint Stover alleges that his supervisor told him it was due to “time theft.” The loss of his job cost Stover his income and medical coverage, and led to the worsening of his disease, among other harms, according to the complaint, which alleges wrongful termination due to disability discrimination. He further alleges that Amazon denied Stover’s request for an adjustment to his schedule to take a day off to receive an intravenous infusion as a treatment for his disease, approximately once every 56 days. He is seeking a jury trial and a minimum of $3 million in damages.